The Dual CamJam 1" Webbing Tensioner is uniquely designed to allow you to create heavy-duty tie-down or connection systems. 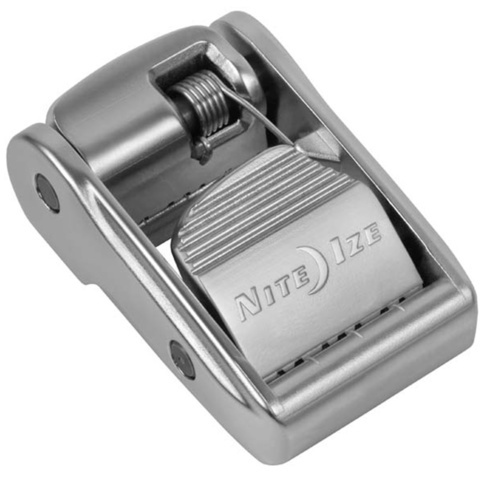 The durable zinc alloy buckle features two separate cam locking mechanisms allowing you to slide the buckle and position it just about anywhere in your configuration. The proprietary design creates the ability to tighten 1" webbing in either a straight line or looped configuration, providing the ultimate in versatility and strength.